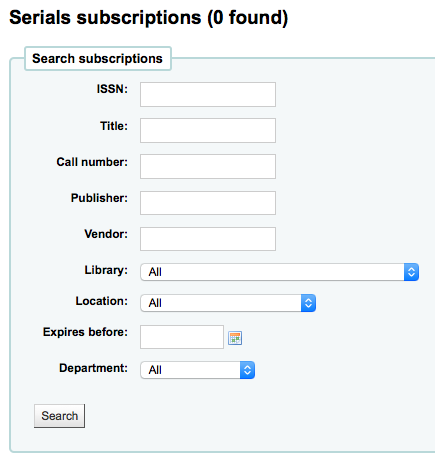 Serials actions can be accessed by going to the More menu at the top of your screen and choosing Serials or by clicking Serials on the main Koha staff client page. 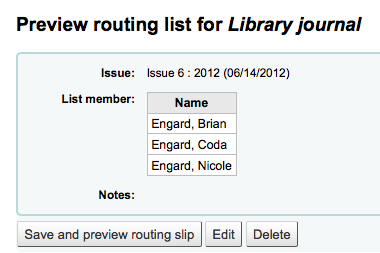 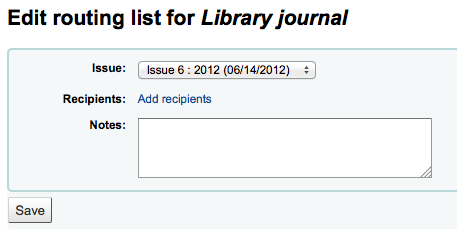 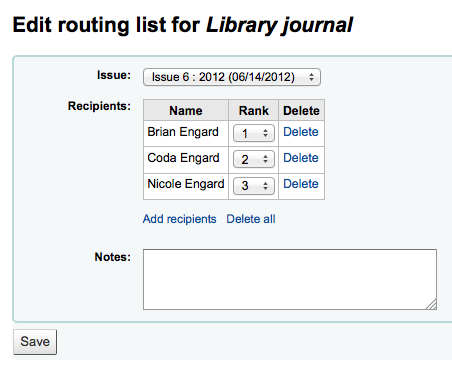 The Serials module in Koha is used for keeping track of journals, newspapers and other items that come on a regular schedule. 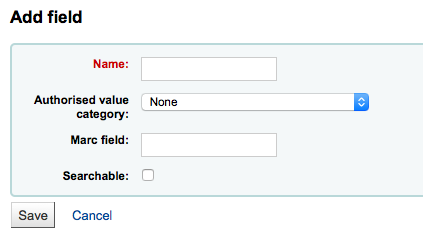 As with all modules, make sure you go through the related Implementation Checklist before using the Serials module. 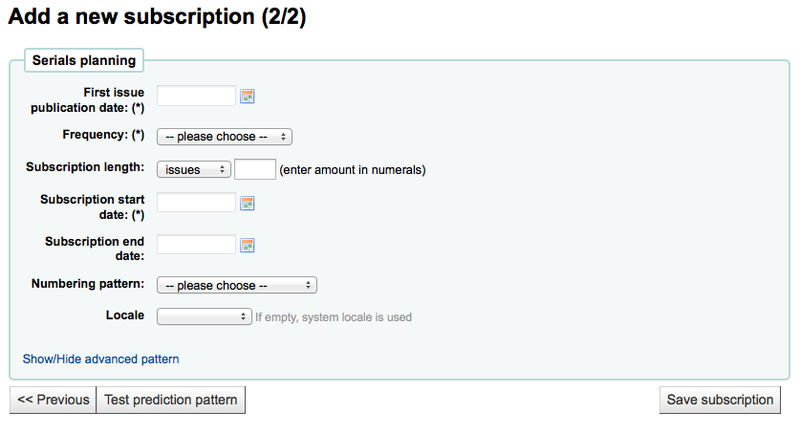 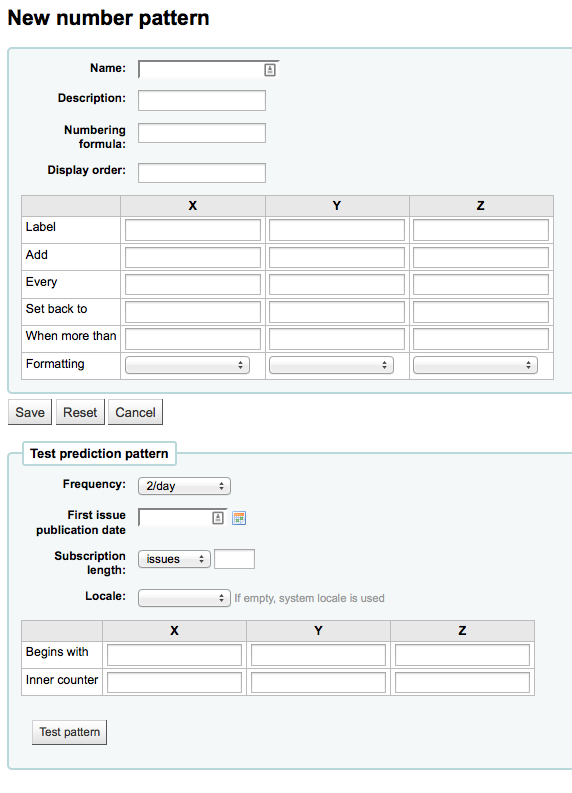 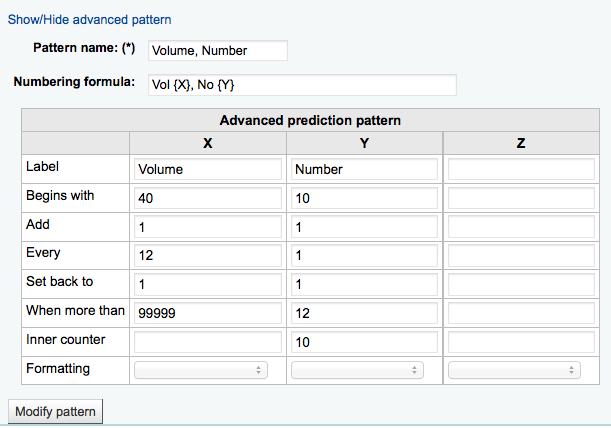 Everytime you create a new numbering pattern in serials you can save it for later use. 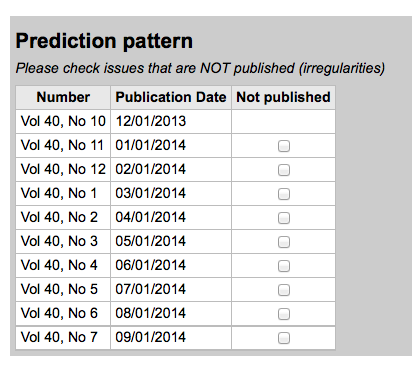 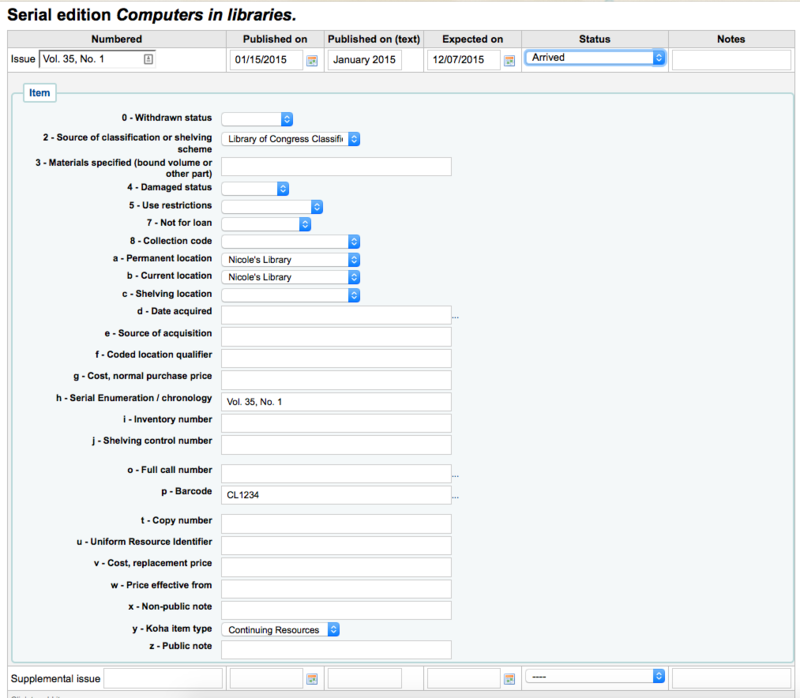 These patters are accessible via the Manage numbering patterns page. 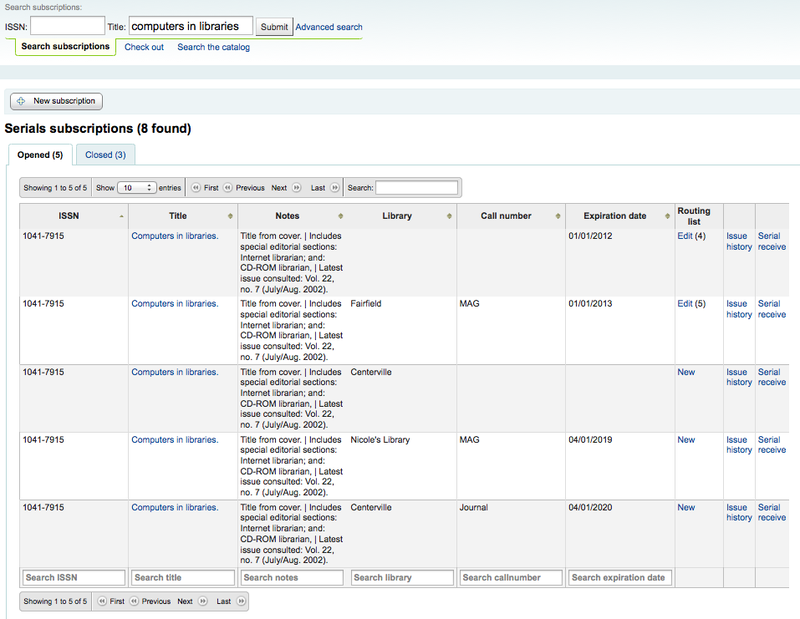 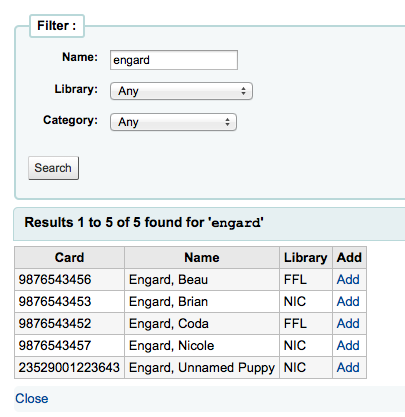 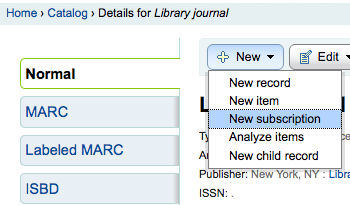 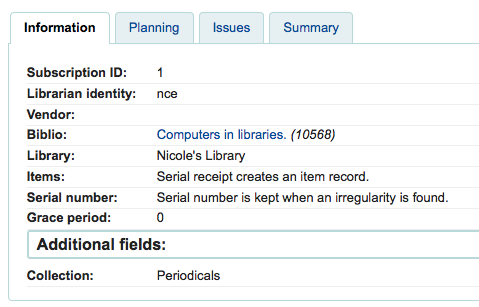 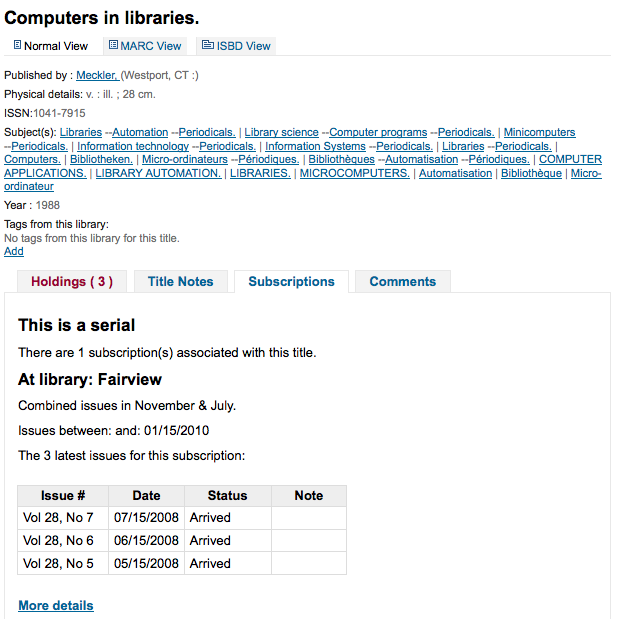 This can be done by searching for an existing record by clicking on the ‘Search for Biblio’ link below the boxes or by entering the bib number for a record in the first box. 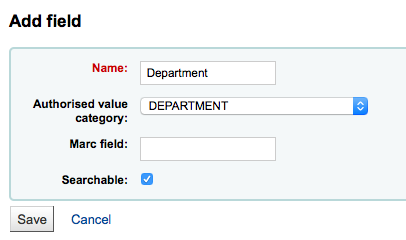 Only if you search with the field between the parenthesis. 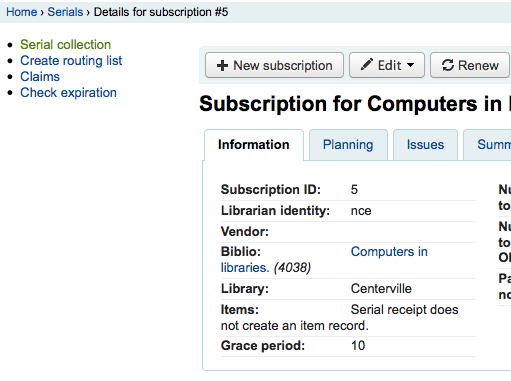 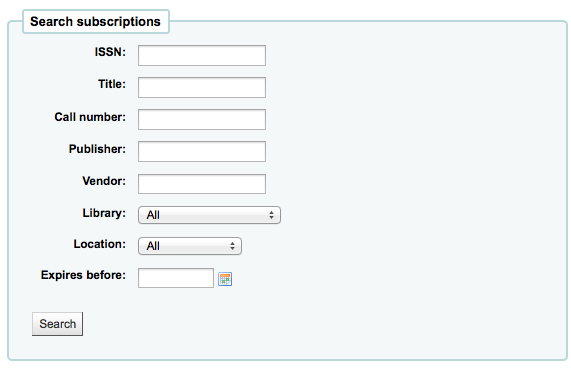 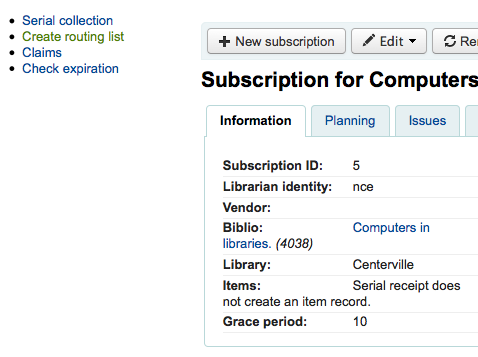 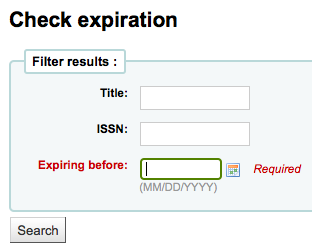 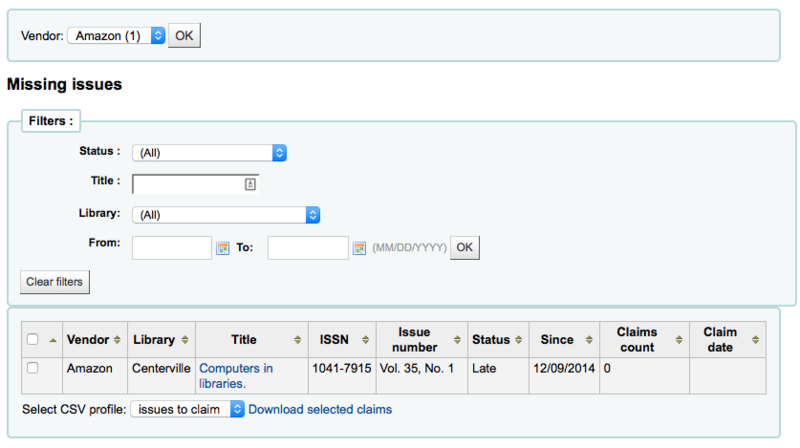 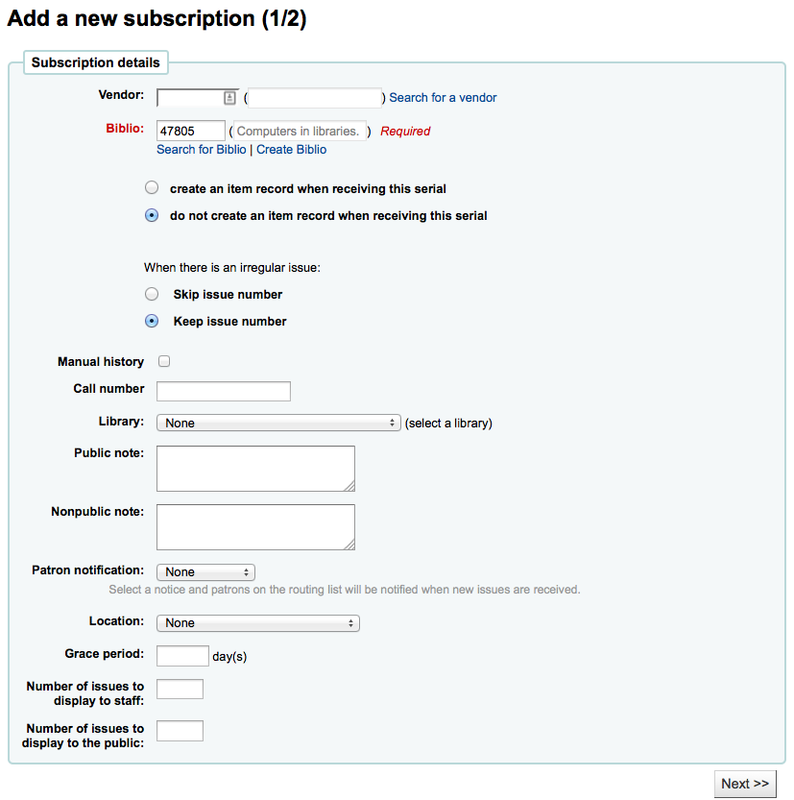 Click ‘Save Subscription’ to save the information you have entered. 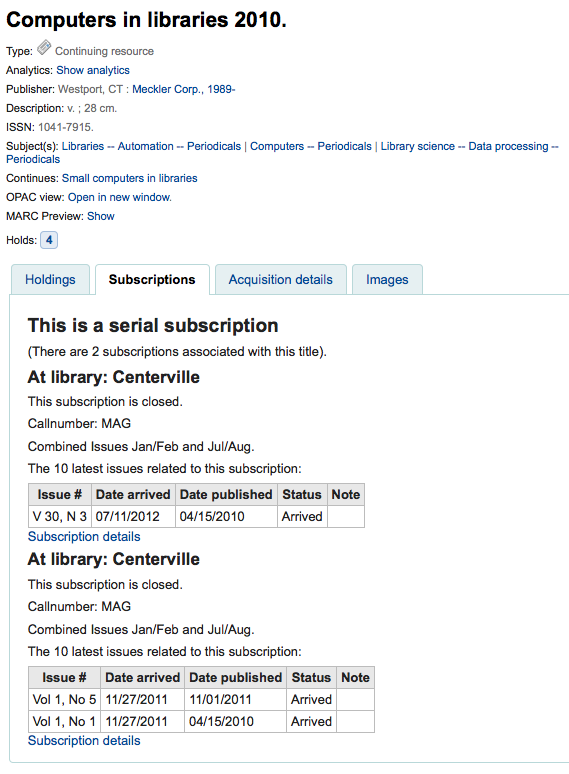 Find sample serial examples in the appendix. 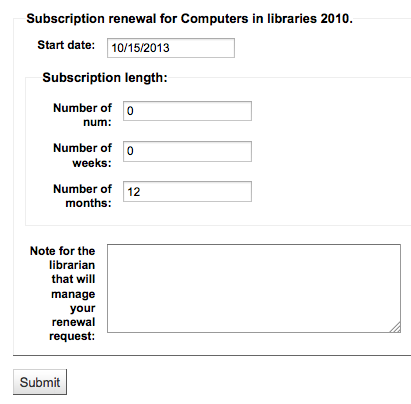 Once you click the ‘Renew’ link or button you will be presenting with renewal options. 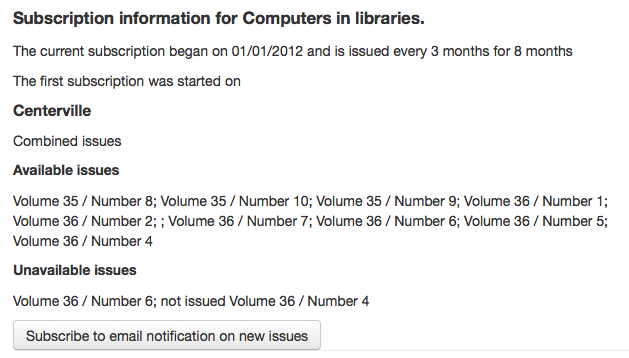 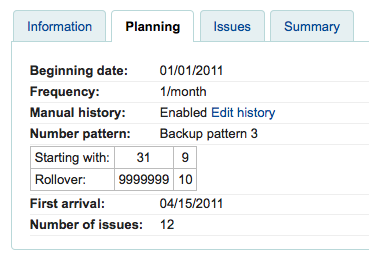 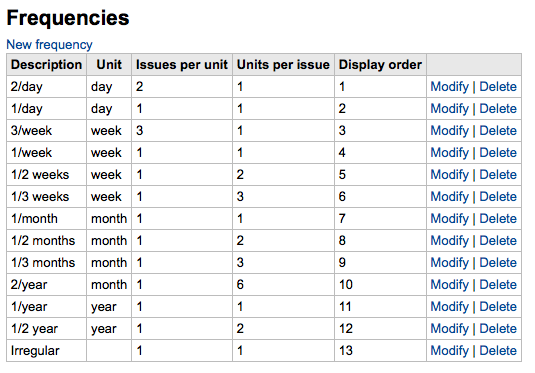 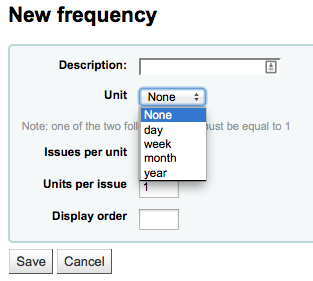 For the subscription length you’ll want to fill in one of the three fields presented: Number of num (issues), Number of months or Number of weeks.